The company works on a product about 5 years, but is at the moment ready to offer only MVP. Prerequisites on the basis of which it is possible to confirm that the planned payback period will make only 6 months aren't presented. ", here are no data on the paying clients which are ready to develop the MAXITUBE system. The company initially planned to attract financing from venture funds, but, apparently, couldn't make it. In team are absent the specialist in blockchain and the person with experience in the large infrastructure projects connected with smart-cities Besides, the main technological experts were engaged in development of pneumatic systems and calculation of aerodynamic systems, but they have no experience with the most advanced technologies in the field – for example, HyperLoop One. At the end of 2015 the Gartner agency estimated number of the devices which are a part of the system smart cities. Experts call IoT the main element of development smart cities. By various estimates, by 2025 about 60% of the population of the earth (4,7 billion people) will live in the cities. The strategy of "smart cities 2.0" has at once drawn to itself attention of experts in the field of technologies and a research of data that promoted significant increase in number of scientific publications in the field for the last year. Also interest was shown by financial structures – it is supposed that only in the EU by 2020 in development of smart cities it will be invested not less than €3 trillion. Analysts of Frost & Sullivan assume that market size will be twice less - €1,5 trillion. Despite all advantages of development of smart cities, experts also allocate five of their main shortcomings: management/control of the huge volume of data, transition to a technocracy, influence of heads of corporations on administrative decisions, vulnerability for the hacker attacks, transformation of the city into a waxworks exhibition. Analysts of McKinsey assume that by 2025 1-2% of all passenger cars (15-30 million pieces) will be equipped with the autopilot. At the same time, the share of semi-automatic vehicles will make 12-15%. Economic effect of introduction of this technology is estimated at $204-235 billion a year, it is estimated taking into account time spent driving, the saved fuel, decrease in number of accidents. The Maxitube project is a robotic electric transport system of city delivery. It consists from: • \t technology solution — using a pipe and the electric drive, Maxitube delivers food and things from cargo a market terminal in a smart the client's refrigerator that resolves issues with traffic jams, allows to get rid of shops, habitual supermarkets, trucks and to create green zones without cars. • \t services which are provided by the city Maxitube cross-platform. On the basis of the technological platform, the Maxitube system will organize a logistic network of the quarter, uniting small business (cafe, restaurants, drugstores, hotels) with larger structures (warehouse complexes, hypermarkets, banks, hospitals). All network of infrastructure of the area can transport goods between the business organizations and also schools, kindergartens, hotels in which there live tourists) and end users — residents of the area (B2B, B2C, P2P). The company is created in 2012 and these 5 years preliminary work, therefore, the different MAXITUBE models have been constructed was conducted. The demo stand and a prototype (MVP) which works in laboratory of the company in Moscow is at the moment built; IP a package is created (the patent + a trademark and signs). According to the company, the approximate cost of installation of one MAXITUBE system on 20 inhabited 16th-floor apartment houses will be about $25 million, at installation of several quarters a payback period of a year. If to take the cost of delivery of Amazon Prime in which an annual club contribution of $100 and then for everyone delivery of $15, then a payback period can be half a year in models of calculation of payback. 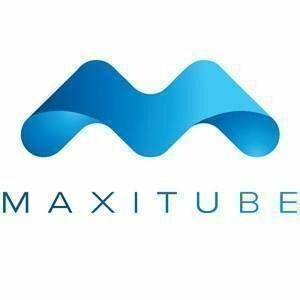 Various opportunities for use of functionality of MAXITUBE: - Auctions of suppliers for the consumer who vote, using TUBE COIN. The platform becomes a uniform window and the exchange of delivery of main types of goods. - The organization of new logistic chains of delivery, without intermediaries, with payment between B2B, B2C, P2P. - Maintenance of quality of goods, due to direct interaction with the supplier. - The aggregator of delivery of services of the concrete house, for services of a cleaning, hairdressers and massage therapists, on the basis of a uniform window and "the last mile". - The analysis of consumer preferences, different types of advertizing – samplers of goods, bonuses to the ordered products, etc. The result of the introduction of the MAXITUBE project, by own calculations of the company, will be $1,74 billion by the end of 2023. Revenue of the project by years, after carrying out ICO: • \t1-2 year - $0 • \t3 year - $20M • \t4 year - $200M • \t5 year - $1,2 billion. The company provides two main scenarios of receiving income for buyers of tokens. The first — to sell the token in the secondary market, at the exchange when he grows in the price. The second — to sell it to the company of the MAXITUBE project which will carry out repayment of tokens at the market price every time when the project on the developer platform is started and profitability is received. The mechanism of share repurchase of tokens creates transparent model of distribution of profit, and at the same time creates an opportunity for investors to get profit due to volatility of market price of tokens. Team's line-up and competences: - Maxim Zyabkin, project manager (project management). - Sergey Stolbunov, executive director (production technology). - Ruslan Kulinich, design engineer (automatic equipment, engines and control systems). - Valery Ippolitov, design engineer (exact mechanics and production). - Igor Medvedev, sales director and to development of the international business. On the page of the company the profile only of one person – Igor Medvedev is presented to LinkedIn.